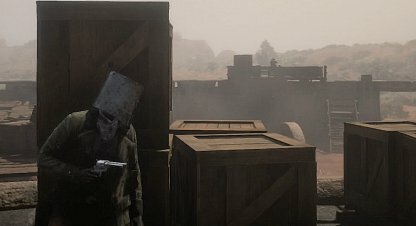 Check out this guide for a full walkthrough of the "Kill Them, Each And Every One" story mission of Red Dead Online, including gameplay tips, guides, and more! 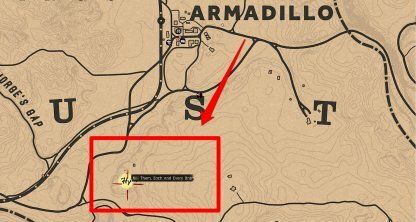 Horley and Jessica's camp can be found a few minutes south of Armadillo. 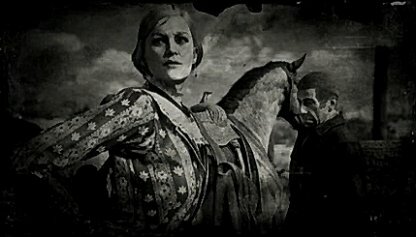 Approach the area to start the mission. The armor given to you before starting the raid will increase the amount of damage you can take before dying! However, do not think that you are invincible. You can still die if you take enough damage in short time! During the raid, there will be two cannons positioned at either side of the fort. You will be able to use these cannons after taking out the enemies surrounding it. 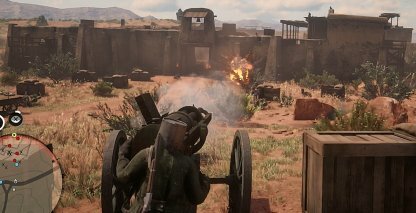 Shoot the front gate to make an entrance to the fort! 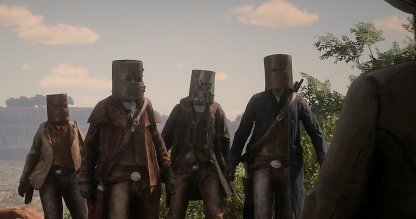 There will be several of Teddy Brown's boys waiting for you in Fort Mercer. Systematically clear out the fort by staying in cover, shooting down enemies, and once the area is clear, pushing forward to a new location. Teddy Brown will come out heavily armed, and well protected. 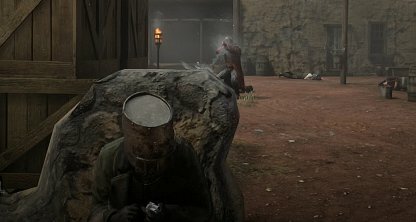 One of the posse members should shoot him to draw his attention. While he is preoccupied, other members can focus fire on him. 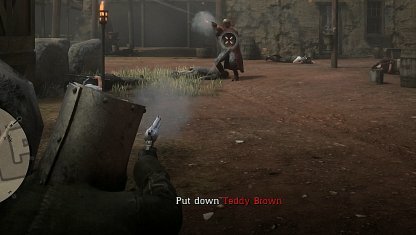 If Teddy Brown has his attention on you, it would be best to find a hiding place, and stay in cover. Teddy can knock you off your feet in few shots so it would be best to let the rest of your team bring him down.